Bermuda Pacers runners competed in the 2018 AAU Cross Country Nationals at Victor Ashe Park in Knoxville, Tennessee. Ryan Outerbridge finished 41st competing in the 15-18 Boys 5k Run, Outerbridge would cross the line clocking a time of 19:48.2. Kahzi Sealey competing in the 13-14 Boys 4K race finished 5th in a field of 176 competitors clocking a time of 14:57.9. 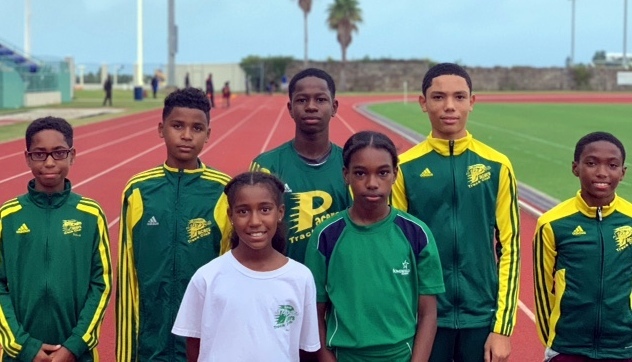 During the 11-12 Boys 3k Run Jace Donawa crossed the line 34th stopping the clock in a time of 12:57.7, Jaylen Grant was clocked at 14:10.5 finishing 122nd and Maximillian Reid finished 221st clocking 16:42.2. Ellise Dickinson finished 13th competing in the 9-10 Girls 3k Run stopping the clock in a time of 14:02.7, while Jaeda Grant finished 35th clocking a time of 15:01.8.